The driving force behind the work that we do at Hands on Manila – which is to provide customized CSR programs to our partner companies – was a study conducted by Points of Light Foundation that confirmed how employees, particularly millennials, tend to stay longer in companies that are socially responsible. We saw a growing demand for personalized CSR programs from companies who lacked the expertise to create and run sustainable service projects well. Servathon (or Service Marathon) was born in October 2005 to satisfy this demand while maximizing company resources for community service. We knew employees led busy lives, so we developed a cause-driven project that they could support even for just one day a year. It is a passion project for our community, and I am happy that it has become an annual employee fellowship 12 years later and counting. 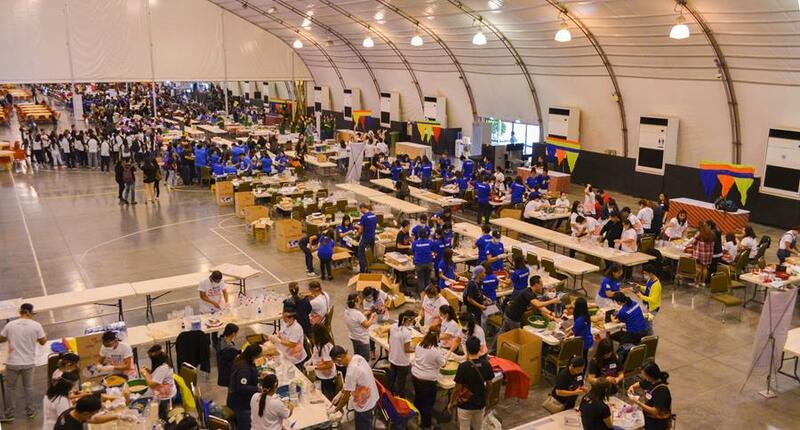 This year’s Servathon, which was held on September 23 at the PICC Forum in Manila, Philippines, was one of Hands on Manila’s biggest and most ambitious projects yet. From only 31 groups of 30 employees each last year, we now have a record 42 groups from 28 companies. The kits that were assembled by over 1200 corporate volunteers entailed a lot of rigorous study, countless instances of trial and error, and time and motion studies. But these kits are in fact urgently needed by our displaced brothers and sisters in Mindanao, where a war immobilized a city, so pushing our logistical boundaries for a cause so vital was not an issue. It helped that we partnered with the Community and Family Services International (CFSI) and International Care Ministries (ICM) this year, as their presence in the conflict area enabled us to expand our reach. Moving forward, we are looking to prioritize similar partnerships, to raise the quality of life of every Filipino, by increasing private sector and NGO participation, addressing logistical gaps and establishing the much-needed relief and rebuilding efforts. In the long run, we envision Hands on Manila to be the largest corporate volunteer organization in the Philippines. To achieve this, we reaffirm our commitments to education, to the environment, to livelihood and to health care, which are aligned with the United Nations Sustainable Development Goals. We are committed to evolve, to come up with new programs that suit the needs of the times, to measure the effectiveness of such programs, and to create a bigger and better Servathon each year so that more people are given the opportunity to serve. 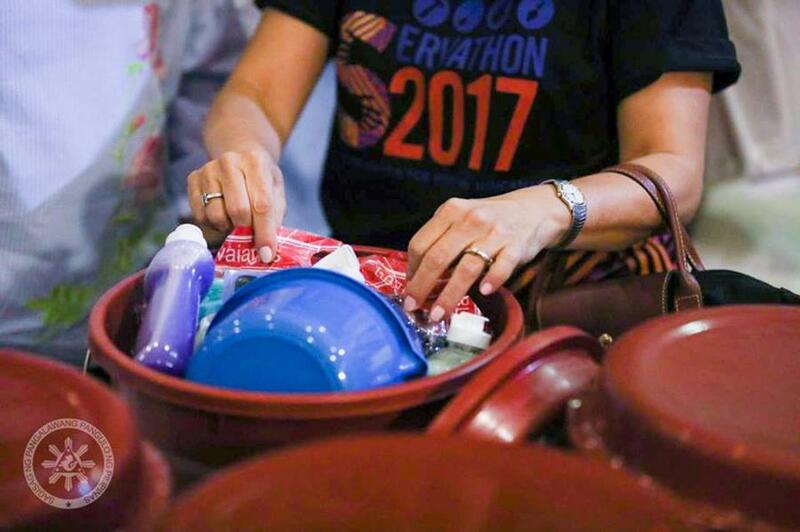 Servathon and Hands on Manila’s volunteer work is an attempt to counter all that is negative today – the disturbing news, natural disasters, wars, refugees, display of hate and rude discourse. It is our way of trying to focus on what is positive and what is inspiring. It is our way of changing the conversation, because when you change your conversation, you change the world.